It is a complex of church school (2nd floor) and nursery (1st floor) administered by Protestant Christ church. 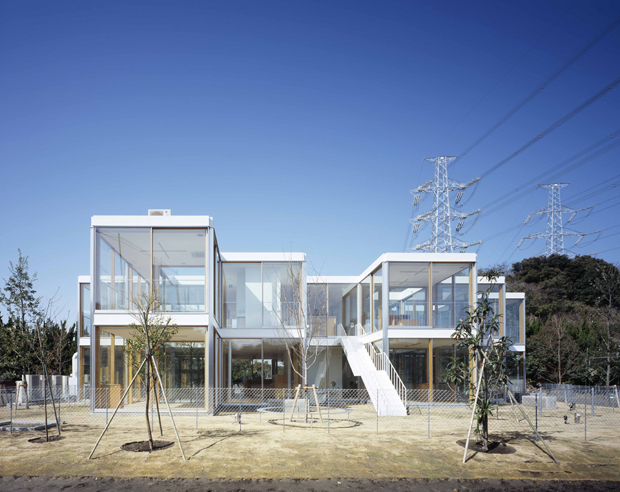 The premises are located at a greenery area in Yokohama city surrounded by fields, parks and hills in the neighborhood. It has been planned in the open space such that places for children to stay are mixed into forest with rich natural environment. Drawn continued line in the forest in a spiral manner mixes buildings with the forest and indoor part with outdoor part as if they were stirred by hands, simultaneously creating individual classrooms and open spaces as well. The continued line runs through the forest while avoiding and surrounding trees. It is a building with new mixture of indoor and outdoor parts. 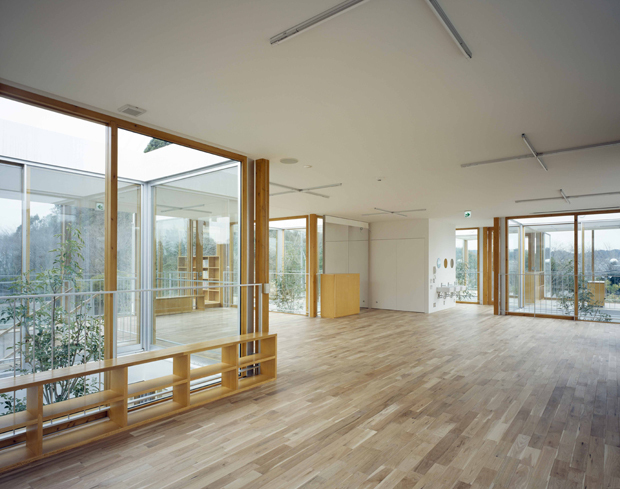 We ve selected wooden construction as a place for children from infant to senior in high school to stay. Making wooden building of wood framework, wood floor and wood sash to be clear and light, we ve realized a transparent wooden construction. 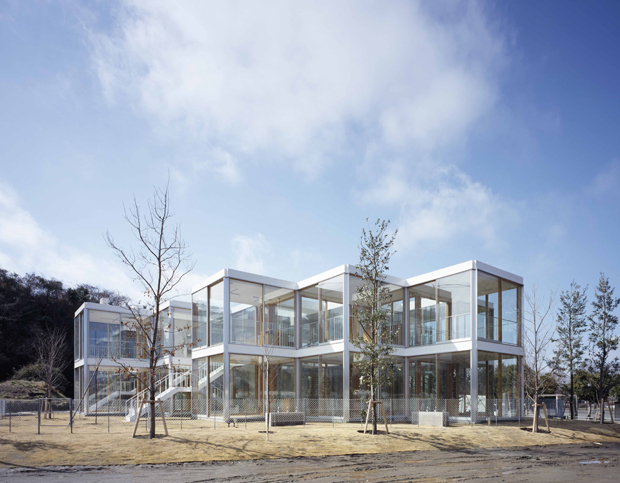 In a simple grid building, steel frames are adopted to five courtyards to bear earthquake load. Since pillars of solid steel of 110 square are fit between wooden pillar and sash, their existence is successfully eliminated without any sense of discomfort while they are exposed without being hidden. 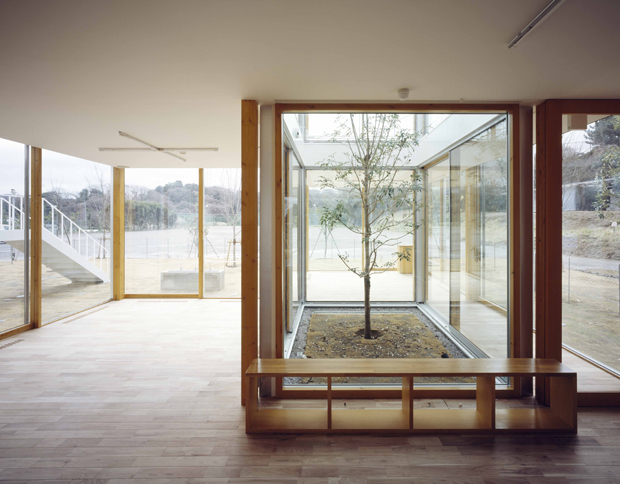 Glass sliding door is equipped at the interface between indoor and outdoor area. 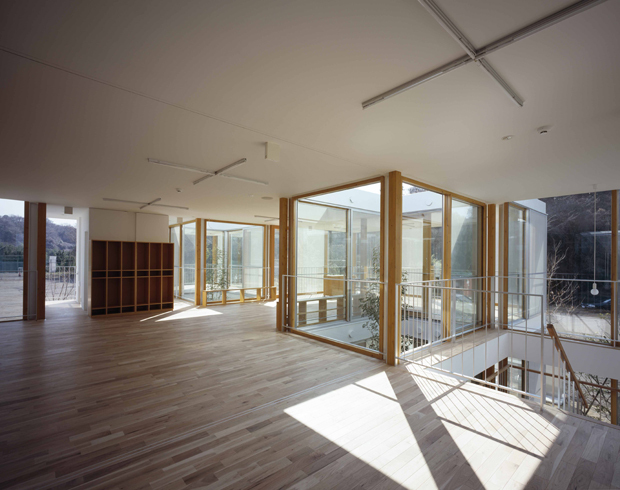 Light falls and spreads into the building through the trees and winds from the forest run through the building. 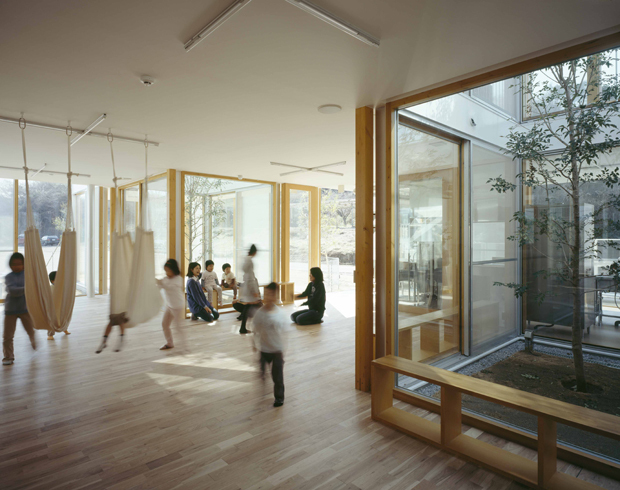 It is possible for children to vividly spend their time both at indoor space where they feel as if they were in the forest and at outdoor area where they also feel as if they belong to the building. School children go to each class room after holding morning service in the hall at second floor. They take classes in sunlight falling through the trees and read books in the forest. Children in nursery freely run around from indoor to outdoor while taking a nap with comfort brought by forest wind. 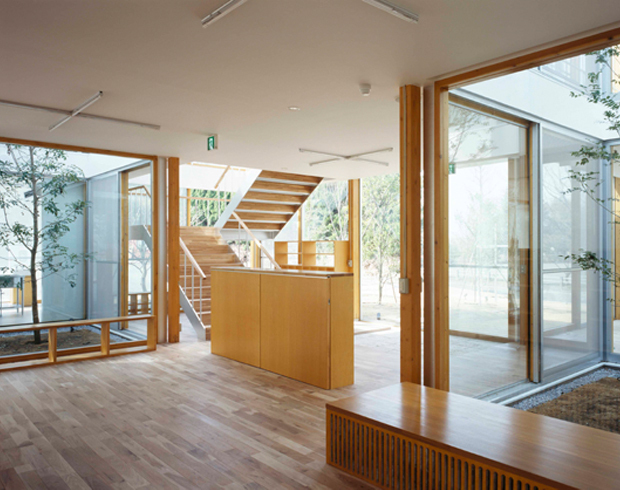 The building has been built by trying to figure out a new concept for building establishments in forests. 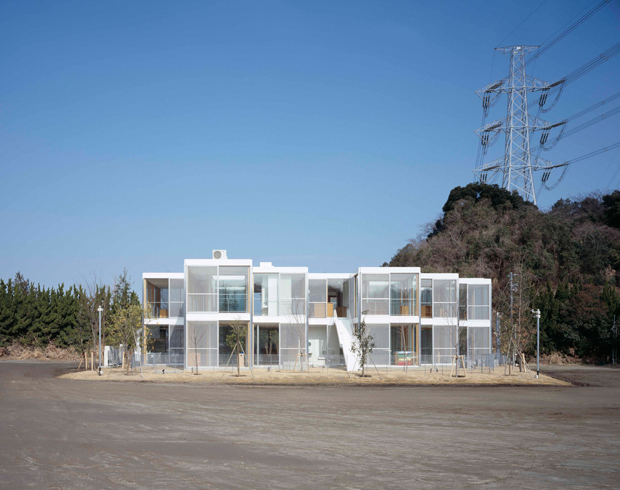 I hope not a building excessively managed artificially but such easygoing building defined to lie between natural and artificial will be a good place for children to stay.